A new book helps us understand the political and theological ferment in late 19th century India which left its imprint on the life and work of the educationist who founded Aligarh Muslim University. Institutions of higher learning the world over express gratitude to their founders and benefactors, each in ways that are inextricably linked to its origin and history. Sometimes this gratitude is expressed in writings that are targeted to, and lapped up by, alumni; but some of these can also have wider relevance. The Cambridge Companion to Sayyid Ahmad Khan, edited by Yasmin Saikia and M. Raisur Rahman, falls in the latter category. The reason can be traced in aspects of modern history of the Indian Sub-Continent, the spread of modern education, and its impact on the Muslim communities. 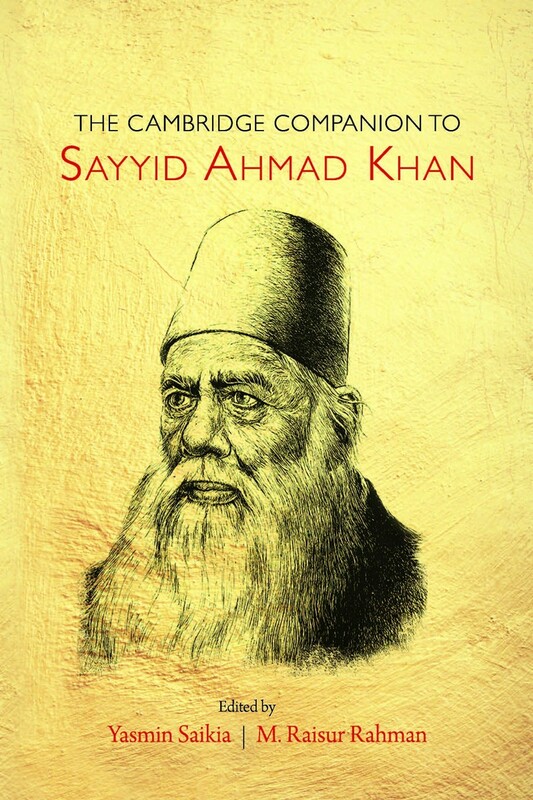 Present-day India and generations of alumni testify in gratitude to Sayyid Ahmad Khan’s work. The AMU fraternity today is truly global; its bonds of affinity are reaffirmed year by year. Yet, many are not aware of the lesser known but equally fascinating aspects of Sayyid Ahmad Khan’s persona. A glimpse of these is given in the chapters in this volume on his views on religion and science and on Delhi’s monuments; they would be of use to many readers. The January 1857 decision led to the establishment of universities, on the model of the University of London, at Calcutta, Bombay and Madras. Others followed some years later – Punjab in 1892 and Allahabad in 1887. Alongside and with the emergence of a class of Indians who acquired modern education and saw its benefits in gainful employment, colleges for modern education were established as adjuncts to social reform movements in different communities. In this process, the Muslims lagged behind, with all its attendant consequences. This awareness of educational backwardness, in the wake of the harsh treatment meted out to Muslims by the British administration following the events of 1857, propelled Sayyid Ahmad Khan to focus on modern education. A first step was the establishment in 1866 of a Scientific Society to make available to his audience translations of some writings on modern science. MAO College became Aligarh Muslim University in 1920. It is mentioned in the Union List of the Seventh Schedule of the Constitution of India as among the ‘institutions of national importance.’ Many of its departments of studies have attained excellence, so have many eminent scholars. It has a credible record in extra-curricular activities. Non-conformists too have graced the campus from time to time; frowned upon but not in university hostels. Could he have done differently in the politico-theological turmoil of his times? The record of later Muslim reformers in India and elsewhere does not seem to suggest so. Sayyid Ahmad Khan adjusted to the imperatives of his times and prioritised. The college (and the university that followed) consciously defined its reach in its initial stages and acquired an elite mindset. The community was taken to mean the upper crust, the so-called ashraf. The same was his approach to women’s education, as expressed in his 1882 testimony before the Indian Education Commission. The lingering impact of the latter, despite phenomenal changes since, lingers to this day and is borne out by data on education, workforce participation and social mobility. Neither the college nor its founder lived in isolation from other happenings in colonial India. The impulses then being generated sought answers; Sayyid Ahmad responded in terms of his priorities. A later generation would read meanings into this, and seek to mould political opinion around it. Neither do justice to the founder and his single-minded purpose. What remains undone, or inadequately done, is Sayyid Ahmad’s unfinished agenda of Islamic modernity, to think what Mohammad Arkoun termed the ‘un-thought and the unthinkable’ and to re-visualise in the 21st century his wider challenge of modernity premised on toleration and progress. These are important ingredients in our approach to accommodation of diversity in India’s societal make up; they also present a relevant model for a globalising world. Challenges do remain; but these have to be faced not in insularity but in greater involvement. Hamid Ansari was vice president of India.